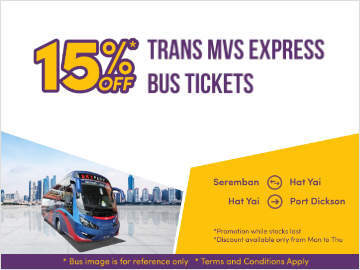 Popularly known for the Subang Airport to KLIA/KLIA2 and KL Sentral shuttle bus services, the Port Dickson based Trans MVS Express also offers long distance express bus services to and from Hat Yai (Thailand). The Subang Airport to KLIA/KLIA2 shuttle bus service starts from 5am and last bus leaves Subang Airport to KLIA at 11.30pm. As for the return trip, the first bus leaves KLIA to Subang Airport at 5.45am and the last bus at 12.15am. 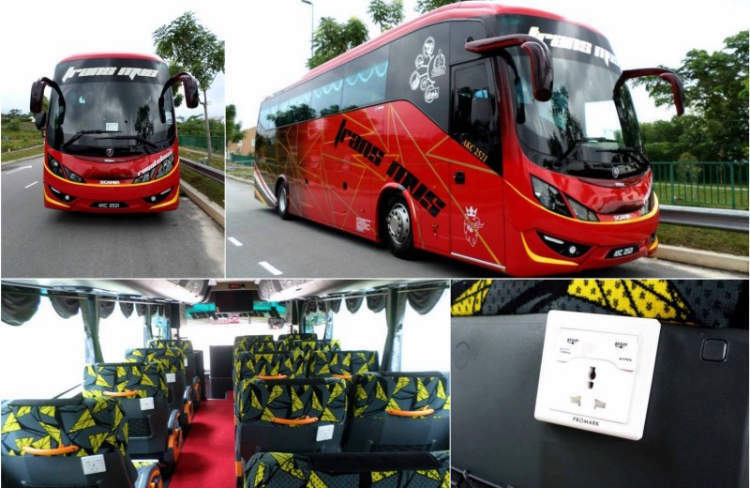 You can now book bus tickets online for Trans MVS express bus from Lukut (Port Dickson), Seremban, KLIA, KLIA2 & Subang to Alor Setar, Bukit Kayu Hitam, Changloon & Jitra in Kedah, and Danok & Hatyai in Thailand. The following table indicates the departure timing and bus fares. Find the best timing, compare prices and save the hustle of booking your bus ticket in person. You can now book your bus ticket online at BusOnlineTicket.com and Easybook.com.